What Happens to Trees After Wildfires? Any person who keeps up with the news knows that Canada is going through one of its worst wildfires ever. The city of Fort McMurray is in ruins with over 1600 homes and buildings burned in the fire, and more than 90,000 people evacuated from the area. Luckily no lives have been lost, yet the community mourns the loss of their homes, possessions, and an image of a place burned to the ground. While buildings can be reconstructed, and things bought again, one thing that caught my attention was the trees. What happens to forests after a wildfire? Well that depends on a couple of things. A study by Phil van Mantgem, a research ecologist, surveyed thousands of trees in more than a dozen western parks, and found that those trees burned in dry conditions was more likely to die than a tree similarly burned in wet conditions. 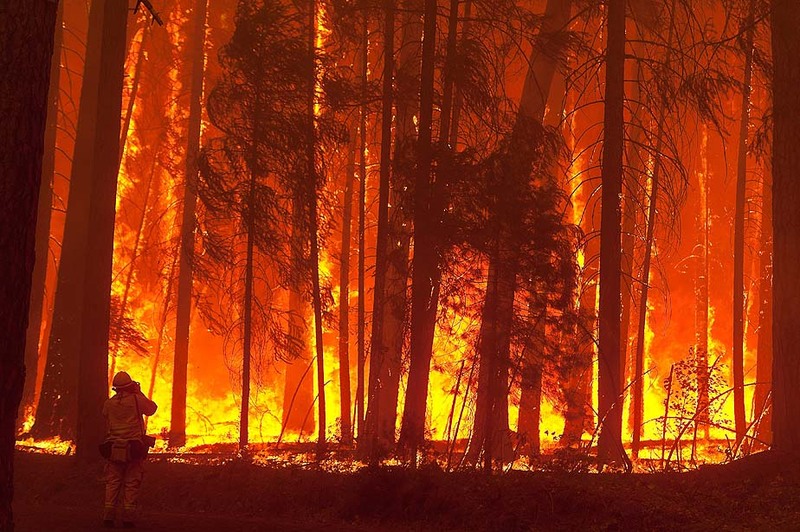 Trees in areas which were going through a drought were more likely to burn completely. The higher the intensity of the fire, the more damaging its effects. Surprisingly, low-intensity fires are actually beneficial to maintaining a healthy forest in the long run. Trees can also recover from moderate-intensity fires, as the strongest and most healthiest trees survive leaving some forest cover. But stronger fires are damaging in the long run as they lose protection from rainfall and erosion caused by the resulting white, grey ash from the fire. Understanding how certain trees survive in a wildfire, is crucial to preventing their damage and limiting the spread of the fire. While it is certainly a large task, it’s effects would be substantial on people living in wildfire-prone areas and the wildlife living there.